Rep. Maxine Waters (D-CA) is chairwoman of the House Financial Services Committee. A self-described Democrat Socialist is set to join the committee. Rep. Alexandria Ocasio-Cortez (D-N.Y.) is slated to join the committee leading the House’s oversight of U.S banks, lenders and financial markets. The next two years are going to be a trip! California Congresswoman Maxine Waters just doesn’t care anymore. A lot of Democrats don’t, actually. 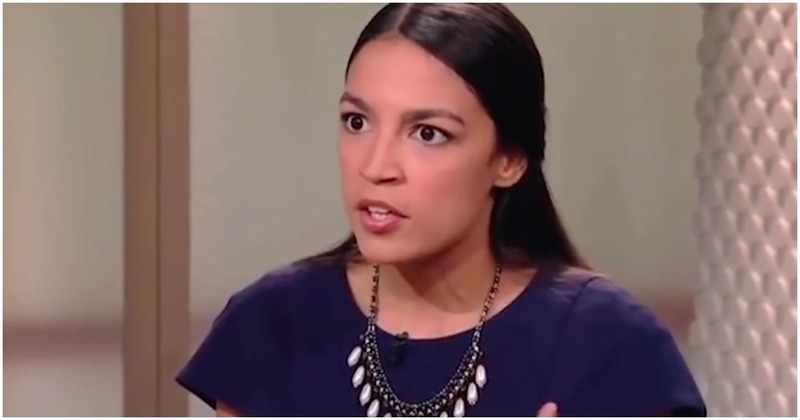 Ocasio-Cortez is everything that’s wrong with America. She knows little of which she speaks. Even worse, she has loyal followers who bend their ear to every word she says (or writes). AOC can do it with the best of them. At a press conference for Sunshine Movement, which is a far-left group, Alexandria compared her midterm election victory to the moon landing and the civil rights movement. There are no words to explain this kind of ignorance. It’s going to be a long two years covering this one.